Friday Philosophy – What Makes a Community? Daniel was not specific about if this was a work/user group community or a wider consideration of society, but my first thoughts were about the Oracle community (or communities) that I have been involved in. 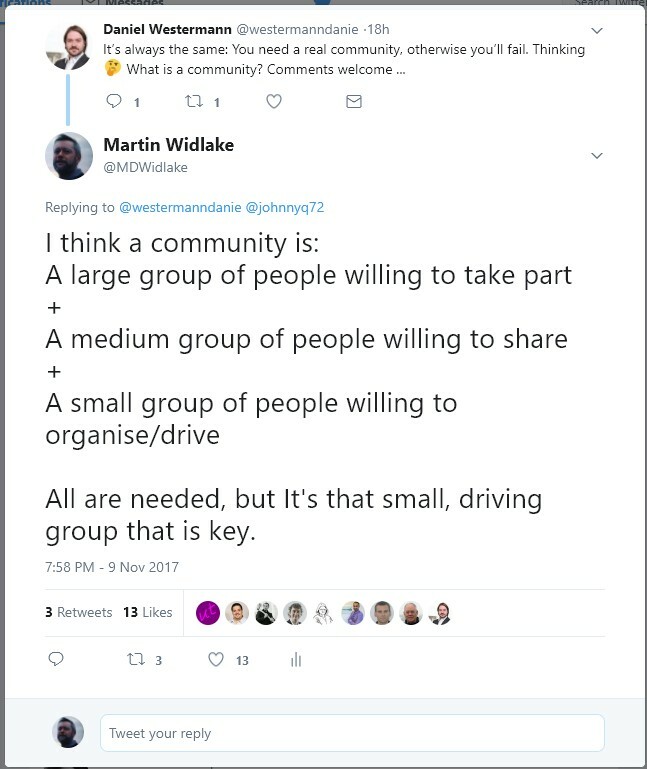 By community I mean anything from a national or regional user group; a regular, geographically agnostic conference; a special interest group; even just a bunch of people who meet socially who share a common interest (such as London Oracle Beers which I help run). You could actually think of it as the world-wide collective of all such smaller Oracle communities. I’ve thought about this a lot over the years and you can see my answer in the right. Quite obviously an Oracle community needs a shared interest in Oracle, in some aspect of it or a broader view. All tech communities focus on a brand of tech, I don’t think you get a “computers” community as it is just too broad. But the parts that make up the community are, I think, alwyas the same. Taking a regular conference as an example, the first group are the delegates. If not enough people are willing to pay for it and turn up then your conference will fail. The second group are the speakers and people who will help with organising. The third group are the ones who get the second group involved, manage the effort and sell the idea of the conference. That third, small group is the key. If you lack that, you have no community. Sometimes, especially for smaller groups, that third group could be very small, even just one person. Delegates and speakers can come and go but it’s not so easy with the drivers of a community. For several years we had a small but active Oracle user group in the centre of the UK, in Birmingham. It was run by one person, Mike Mckay-dirden. He almost single handedly started it up, organised the venue and corralled some of us speakers into coming over to talk. It ran successfully for several years but then Mike decided he could not keep doing it. He stopped, no one took it over – and the community died. 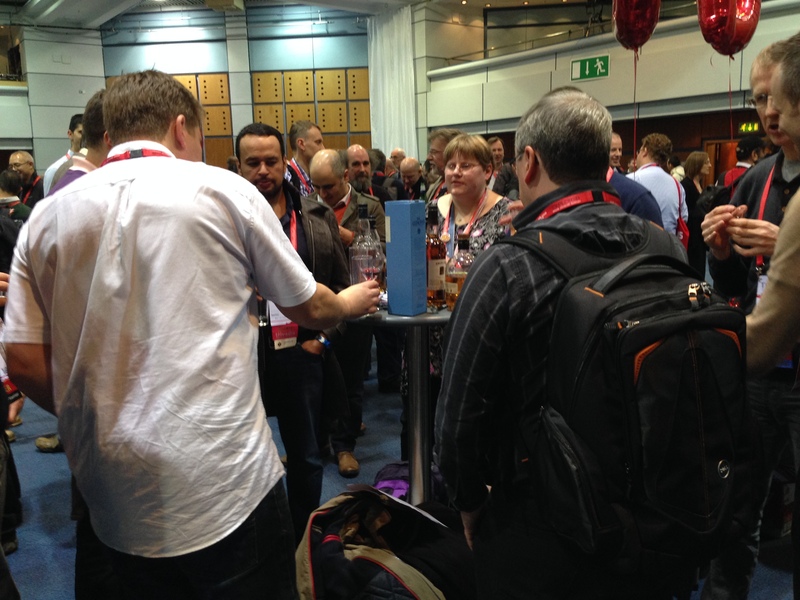 With larger communities such as UKOUG or DOAG there will be several people driving it all forward and usually, if one drops out you can keep going until another driven person turns up to help. But it is always a very small group of people doing a hell of a lot of work. Over the years I’ve watched some communities get stronger or weaker and even die off as those key, driving people change. You can tell who they are, they are the ones who look knackered all the time :-). The LOB is in danger of dying as a couple of the driving people are no longer around and I can’t get to London very often now. 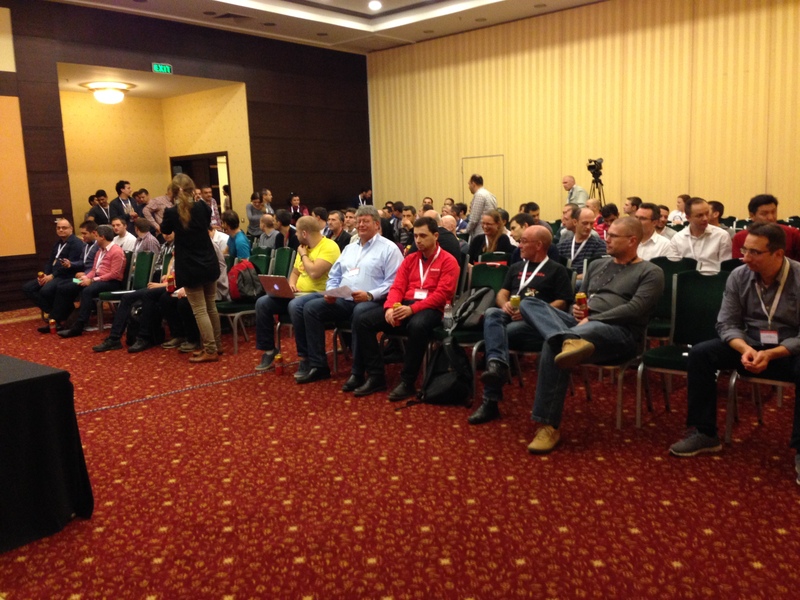 The chances are that as you are reading this blog you are part of an Oracle community. If so, I’d encourage you to support the drivers in those communities. If you lose them, it could really badly impact your community. Would I encourage you to become one of those drivers? Well, I would. But you have to want to do it yourself – it’s a lot of hard work and sometimes it feels like none of the first and second group really appreciate what you are doing, which can be very demoralising. And it eats up a lot of time. I went from being one of the large group willing to take part to a member of the medium group willing to share pretty quickly. After a few years I stepped up to being in the smaller group, for a couple of groups actually. I took those steps up because I wanted to, not with any real expectation of gain (I could see it was going to be me working “for free”!). But I am absolutely sure that I would not be where I am now if I had not. I would not be an OakTable member, I would not be an Oracle ACE Director, and I would not be a known international speaker if I had not at least joined the middle group. Joining the band of drivers introduced me to a lot of really nice, really helpful people too. This blog has been all about Oracle communities but I think the three-group-theory might apply to all communities. I’ll have to think on that a little longer before I voice an opinion. One thing I do know – It’s really nice being part of communities.